Among them were the winners to our free ticket giveaway, who received VIP 3D print goodie bags! At least 500 people visited our Touchable 3D Printed Art exhibit, featuring 3D printed metal, ceramic, and plastic art. We were proud to connect with some of New York’s finest designers, engineers, programmers, and families— and to share our passion for 3D printing with you. 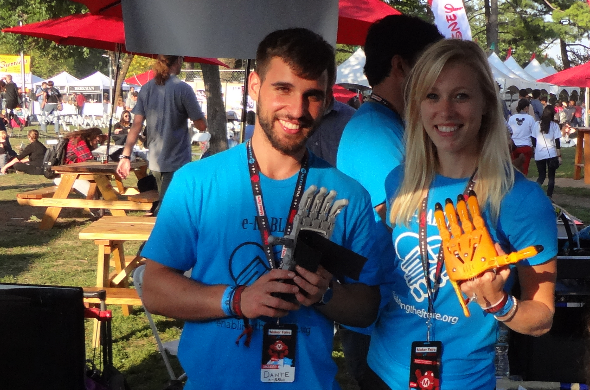 Read on for our Maker Faire New York 2014 summary and some of our favorite moments! For more photos, see our Facebook gallery here. Making the Future Staff and your i.materialise Community Manager paying early tribute to Movember! 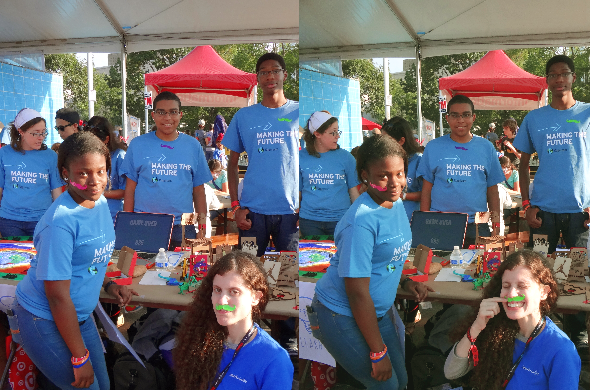 These high school students got up early on a weekend to attend Maker Faire and help mentor children and teens in STEM fields. 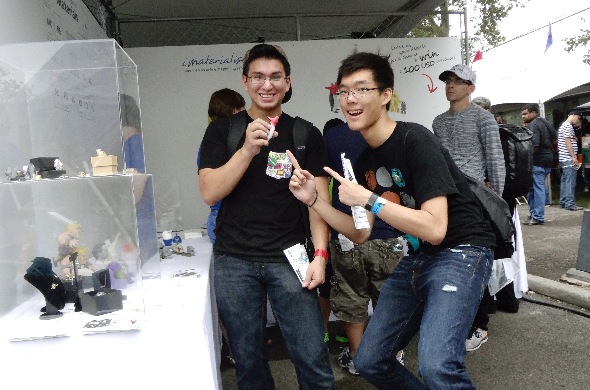 High school and college students were out in full swing at the 2014 New York Maker Faire. Among the exhibits was a student booth by Cognizant’s Making the Future, a program pairing high school students with tech-savvy, STEM-related mentors. The students in this program also mentor each other, and learn new skills as a team. The teenagers at this booth were bright-eyed and determined to make the world a better, smarter place. Also, they were exceptionally good sports— they posed for your Community Manager’s (admittedly cheesy) mustache group shot despite the high noon heat and wind tearing at their booth! The world needs more people like the young adults of Making the Future. Winners to our free Maker Faire NYC giveaway each scored a free 3D print i.materialise goodie bag. Congratulations to all winners! Pictured below is our outreach team for this event (left to right): Roxy, Sam, and Karen! 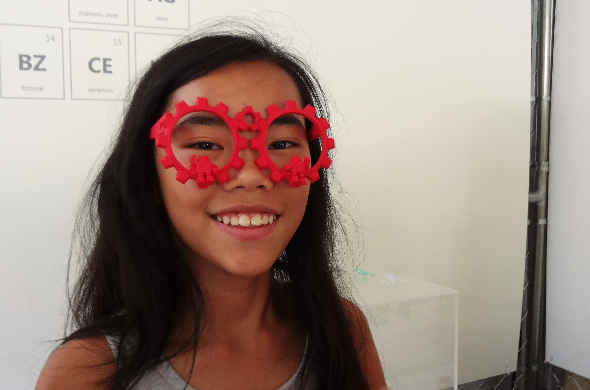 The week before Maker Faire New York 2014 got started, we held a free ticket giveaway. Winners who came by our booth each received a VIP goodie bag containing, among other things, one of our 3D prints! This award-winning print is called the “Dragonbite” clip, and it was Cyprus’s very own Vangelis and Dinos. Winners received a limited edition version printed in our sturdy black dyed polyamide material. Feel like you missed out? Submit your Maker Selfie (#makerselfie) here and enter to win a free custom iPhone 6 case. Could she be the next Leonardo da Vinci, Heddy Lamarr, or George Washington Carver? Our booth’s art display is made to look AND touch. This includes the Warhol-inspired cow statue behind these photogenic New York teenagers! The yellow and red glasses are made of 3D printed dyed polyamide. Exhibitors at Maker Faire New York presented technical content in a welcoming, visual, touchable, and interactive way, such as through art, song, and dance. Among a number of interactive 3D printed art exhibits was i.materialise’s Touchable Art Gallery, where children could touch 3D printed pieces and use free 3D design software. This gallery featured 3D printed art pieces made from metals, ceramics, and velvet-coated polyamide. In total, our exhibit attracted and inspired over 200 children. One day, prosthetic limbs might be seen as no different from regular old eyeglasses. A number of Makers live with disabilities, and their perspective, insight, and ideas powered several complex Maker Faire New York exhibits. Among them was e-Nable’s prosthetic arm and hand exhibit, which would not exist without the drive and dedication of the community using them. Think about it: how many of people could make a new limb, create new modes of transportation, or smile despite daily forms of intolerance? There are makers with disabilities powering through these challenges as you read this article. Through their perseverence and dedication, they are making their communities better places to live. 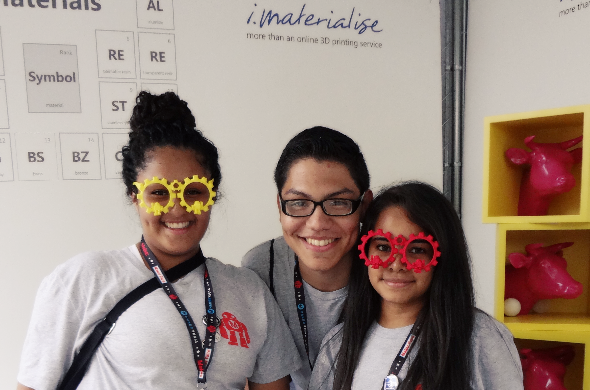 If you or a loved one need accommodations to attend Maker Faire, contact the organizers here. i.materialise’s parent company, Materialise, has pioneered medical research, and we strive to make our displays accessible to individuals with disabilities. 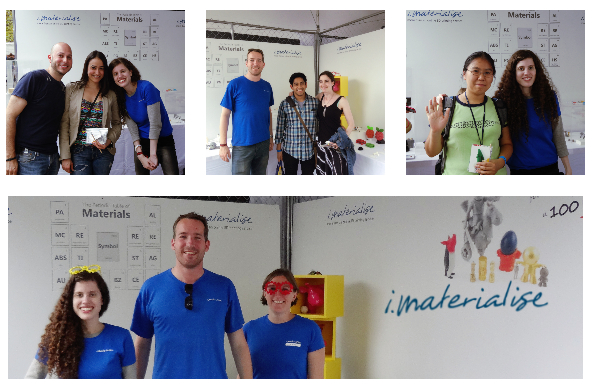 Contact i.materialise here for questions, accommodations or feedback about our booth! New York’s Museum of Food and Drink (MOFAD) features edible exhibits, such as the free cereal display held during Maker Faire New York in 2014. Also… it’s a good alternative to waiting in line for snacks! Anyone who grew hungry during the weekend Faire had a reason to appreciate the Museum of Food and Drink: they offered free bags of cereal to attendees. Free. Bags. Of some of the best cereal ever made. The Museum’s handmade vegetarian cereal recipe featured puffed rice, Indian spices, and a deliciously salty crunch. 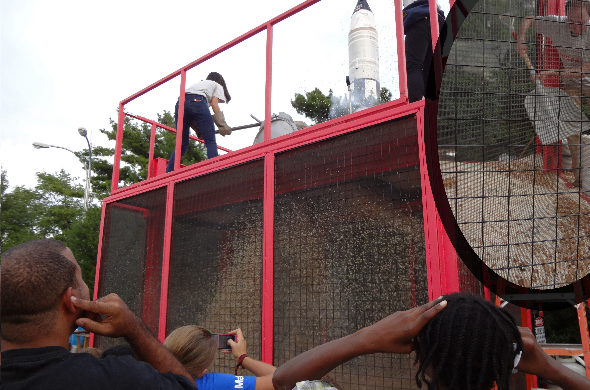 Best of all, the Museum staff prepared it live using a 1920s Puffing Gun, a mechanical piece used by Kellogg’s and other cereal companies during the turn of the 20th Century. Perhaps we’ll take a big 3D printed ceramic cup to the next Faire, so we can sprinkle cereal over yogurt and eat it in style. Liked the taste? Donate to the Museum or share the news so that they can educate the public, and possibly bring the world’s best cereal to all Maker Faires! Ask them for the recipe, share the news, and donate here. From the drones in the “War of Drones” arena to Strati, the world’s first 3D printed car, functional 3D printed vehicles dominated the day. Drones on display included models strong enough to withstand baseball bat assaults, and others that were bulky enough to carry small cameras. Our booth had a drone, too! As for cars, we featured a 3D printed prototype car by the University of Cinncinnati’s very own Josh Henry on our 10% Student Discount fliers. We are delighted so many of you had questions about this project. The Strati exhibit also proved to be a popular draw, as did several non-3D printed vehicles. Hand-assembled and modded cars featured during the Power Racing Series cars proved to be a popular draw, as did the Sashimi Tabernacle Choir, a vehicle covered in dancing, opera-singing plastic fish. 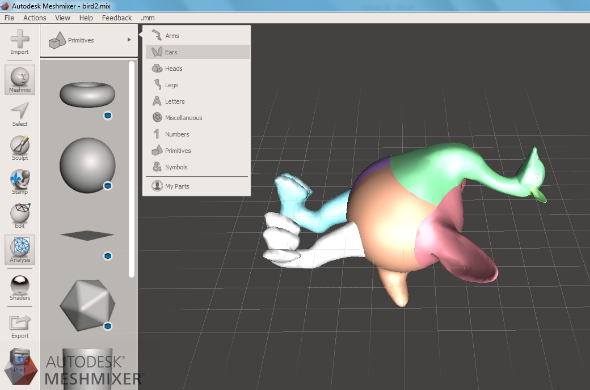 Free 3D design software such as Autodesk Meshmixer ruled the day! Our very own booth also featured iPads where adults and children could use free design software, live. For all the parents who asked our outreach team (Karen, Roxy, and Sam) about this, we recommend the following free software for children: 123D Sculpt (sculpting projects, easiest of all), Meshmixer (sculpting projects, medium difficulty), and Trimble Sketchup (technical projects, low difficulty.) Another powerful free 3D design software to learn is Blender (it does both), but this software takes longer to figure out. Maker Parents, thank you for coming by and sharing the joy of 3D printing, design, and engineering with the next generation of makers. This image has nothing to do with Hackerspaces, but this is how you will feel after attending one! Manhatten Hackerspace and Connecticut Hackerspace were among the maker groups attending the 2014 New York Maker Faire. Despite the name, they are not dedicated to programming or computer science alone– hacker spaces are there for makers of all skill levels to come together and learn. Joining old and new technology in divine matrimony, Manhatten Hackerspace brought along an Arduino-powered 3D “typewriter portrait printer,” and Colorado offered what may be the most charming, beginner-friendly atmosphere we’ve seen in some time. For those interested in learning to program, build, and 3D design or 3D print, Hackerspaces such as these provide an excellent community to get started. The New York Maker Faire would not exist without the crew that made it possible. Aside from the Herculean efforts made by the MAKE Magazine staff and dedicated Maker Faire event personnel such as Miranda Mota, one of the biggest efforts came from the cleaning crew. The cleaning crew, including Brandon (who kept the i.materialise booth tidy despite ongoing dust winds), cleaned the entire venue from about 8AM in the morning to almost midnight! 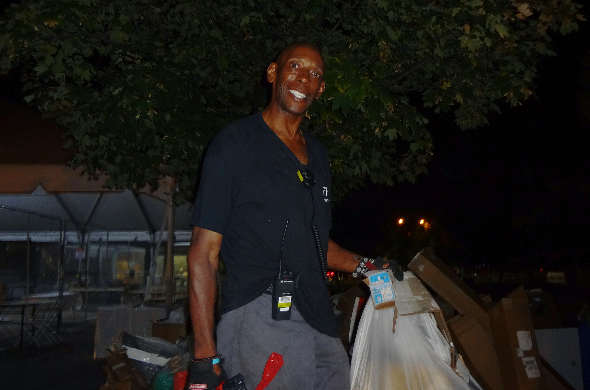 This cleaning crew dealt with more garbage than most of us will see in a lifetime, and did so much more than keep our booth clean— they made i.materialise and many of our visitors feel safe, welcome, and cared for. Thank you, Maker Faire staff and clean-up crew! 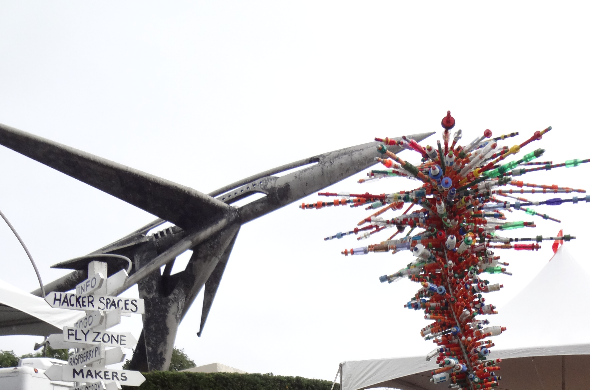 These are just some of our favorite Maker Faire memories… which is your favorite Maker Memory? For more photos, come see see our Facebook gallery. 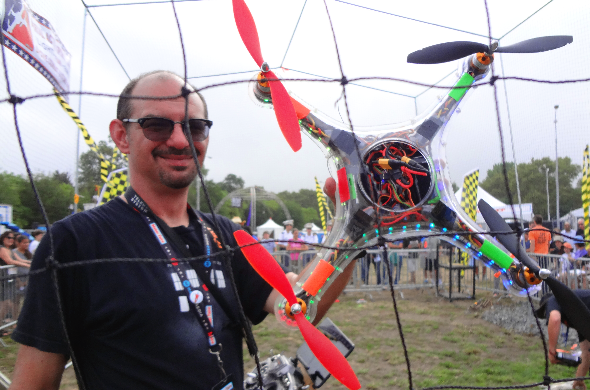 Did you take a selfie during Maker Faire New York? Send it to us via community@i.materialise.com or Tweet/Facebook it along with the #makerselfie hashtag. We’ll put in our upcoming Maker Selfies gallery!